Beautifully formed ceramic heart, glazed and finished with matt white dots. 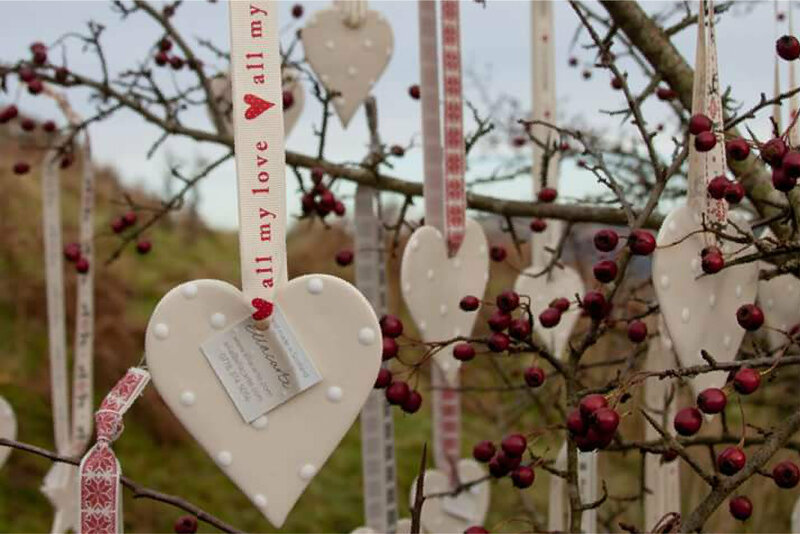 This heart is hung with various ribbons (Christmas valentines, generic) and could go any where in the house or garden; guaranteed to brighten up somebody's dull day. Beautifully formed ceramic heart, glazed and finished with matt white dots. This heart is hung with with a generic ribbon for any occasion and could go any where in house or garden, guaranteed to brighten up somebody's dull day. Beautifully formed ceramic heart, glazed and finished with matt white dots. This heart is hung with Valentines ribbon and could go any where in the house or garden, guaranteed to brighten up somebody's dull day. Beautifully formed ceramic heart, glazed and finished with matt white dots. This heart is hung with Christmas ribbon and could go any where in the house or garden, guaranteed to brighten up somebody's dull day.